Spalding DeDecker has added roof and building assessments to its roster of surveying and engineering services, making us one of the few firms to offer a “whole building envelope” spectrum of design, consulting, and project management services. We provide cost-effective and sustainable solutions for roofing systems, including waterproofing evaluation services, for commercial, industrial, and municipal structures. Roofs are more than a top layer – they are “systems” of structure, weather proofing, and energy transfer. We inspect, assess, and recommend repairs and maintenance plans to maximize roof life, reduce costs, and improve energy efficiency. 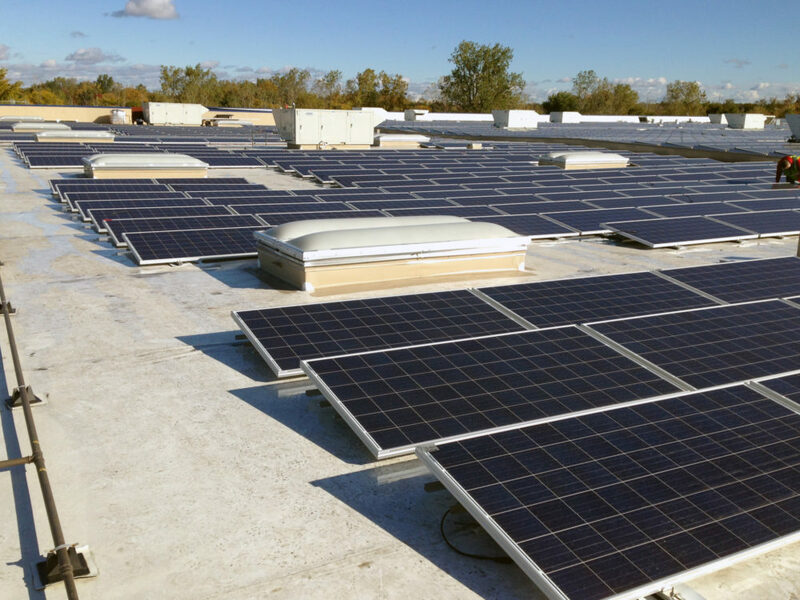 We can help make your roof – and your company’s balance sheet – green with eco-friendly, sustainable solutions. Visual inspections only reveal surface problems. Spalding DeDecker goes below the substrate to check for compatibility to the structural frame and wall systems, as well as building code and energy compliance. Our roof specialists climb to the top to gain access to the nooks and crannies that hold the secrets of your roof’s age (it’s not just a number) and health status. And we’re inside, outside, and sometimes hang upside down, to provide a full scope of inspections and recommendations for our clients. Spalding DeDecker has floor-to-ceiling experts that can see all the dots that reveal the big picture. We know that keeping a solid roof over our clients’ heads helps keeps the lights on as well.